China releases video showing probe landing on far side of the moon. Hailed its mission to explore the dark side of the moon as a “complete success” so far on Friday, as it released video of its Chang’e-4 probe making landfall. Transmitted from a relay satellite to a control center in Beijing, the pictures were first aired by state broadcaster CCTV. They show the Chang’e-4 probe and its cargo — a Jade Rabbit 2 rover — approaching, adjusting its trajectory and speed before finally landing on the moon on January 3. In a statement, lunar exploration programme (CLEP), explained that the probe landed in the Von Karman crater in the Aitken Basin in the South Pole of the moon. Because the area is surrounded by tall mountains, the probe made a vertical landing. “We chose a vertical descent strategy to avoid the influence of the mountains on the flight track,” Zhang He, executive director of the Chang’e-4 project said in a statement. 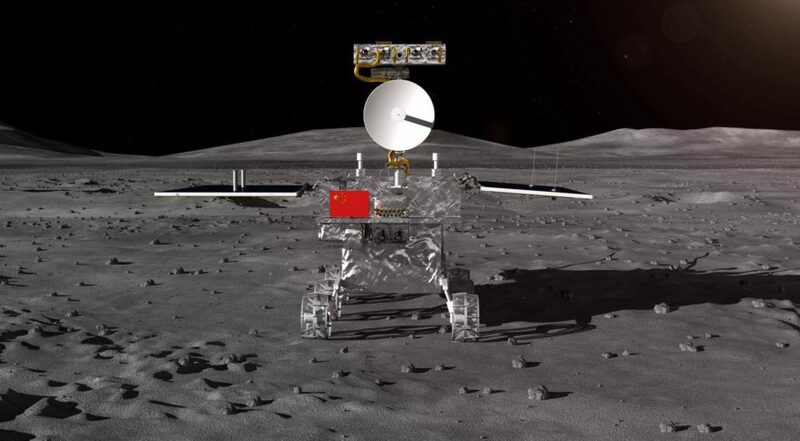 Wu Weiren, CLEP’s chief designer, added that “it was a great challenge with the short time, high difficulty and risks.” The rover, which had been put in “standby” mode to protect it from the Sun’s heat, was then switched on and, along with the Chang’e-4 probe, took pictures of the landing site and its surroundings. Both machines also sent back panoramic pictures of the landing site and of the rover moving. Is the first country to have successfully landed a probe on the moon’s dark side — called so because it is never visible from Earth, as the moon’s rotation is synchronized with its orbit around our planet. The mission, part of the country’s ambitious space programme, is to study the moon’s geology but also monitor for radio waves coming from deep space because the dark side is shielded from Earth’s own radio signals.